When it comes to food, Independence Day is commonly associated with barbecues, beer, picnics, strawberry shortcake, and all the hot dogs you can eat. Post bariatric surgery patients may shudder to think of any approaching festivity since it typically equals a lot of food and permission to overeat! 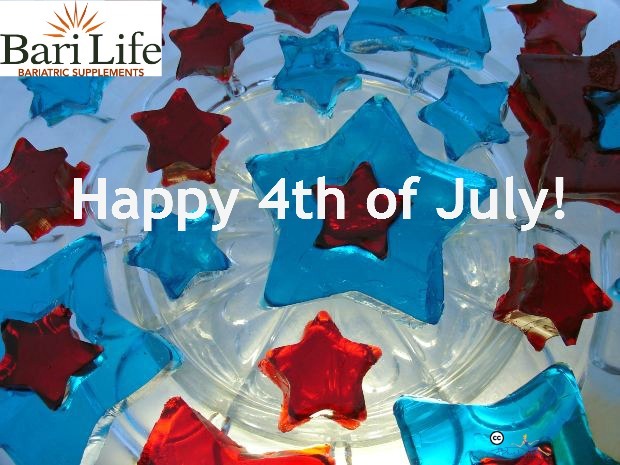 Remember to take your bariatric supplements and don’t give in to eating these unhealthy foods when there are just as many healthy, fun and festive options to celebrate this 4th of July! 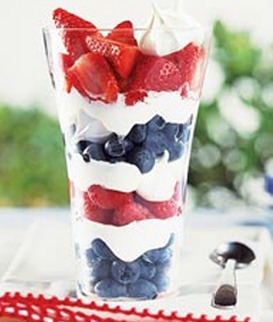 Try making this super easy American Flag Fruit Parfait! Celebrate the Red, White, and Blue with Bari Life! This wholesome dessert only calls for strawberries, blueberries, raspberries, blackberries and fat free cool whip (fruit chosen by preference!). Rinse the fruit with water after removing from package. Slice the strawberries to preference. Take a parfait glass and fill the bottom with desired amount of fruit, then a layer of fat free cool whip, then desired amount of fruit, layer of fat free cool whip, and keep going until you fill the glass to the top! Alternate the blue and red fruits for a more festive look. If you’re running late, set up a station with the fresh fruits in separate bowls and the fat free Cool Whip for a do-it-yourself dessert bar. More healthy, fresh, fun and festive Fourth of July recipes are right at your finger tips! And remember, it’s summertime! Finally time to get outside and enjoy Mother Nature at her best. Make the focus of this fun event a day hike to the mountains or a bike ride in the park with your kids or best of all, the fireworks! Don’t splurge on food. Splurge on the fun activities you, your friends, and family will remember for a lifetime! Life for a post bariatric surgery patient can be a new beginning filled with new opportunities and challenges. By switching your focus from food to other things, festivities can be enjoyed without the fear of overeating. And lastly, don’t forget to take your bariatric vitamins by the end of the day when the festivities are over!